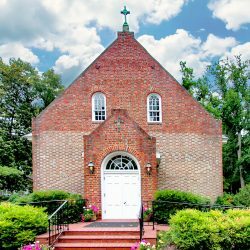 Whether it’s a sanctuary or a fellowship hall, church sound can be a tricky thing. 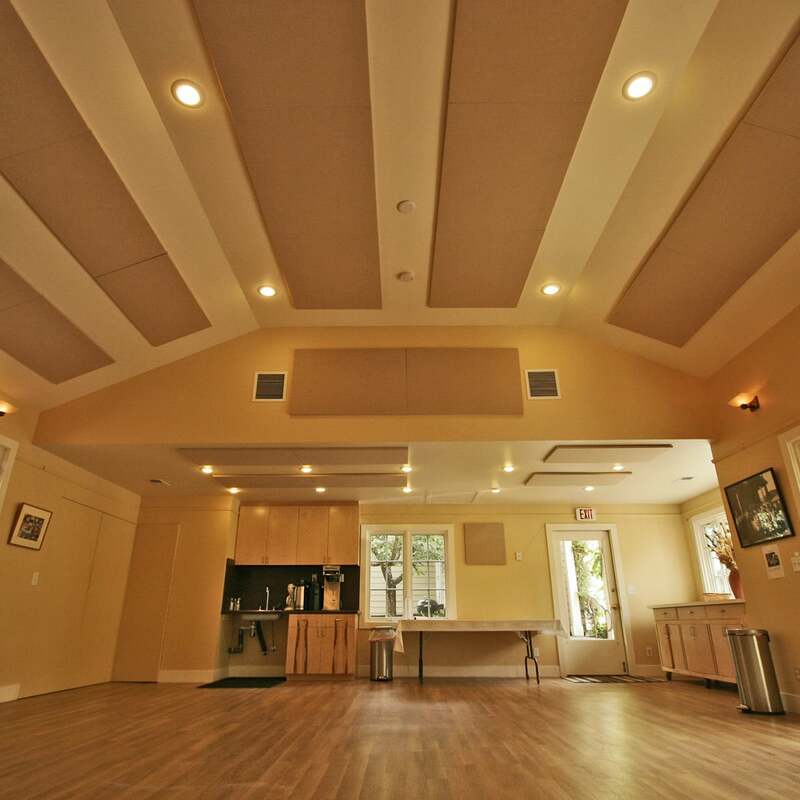 San Geronimo Community Presbyterian Church in California needed to solve a sound problem in the multi-purpose room. From post-service snacks and beverages, to important round table discussions, nothing was working in the multi-purpose room. 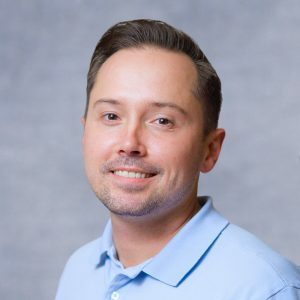 “It was irritating, and literally impossible to talk to the person next to you,” explained Richard James, who was tasked with finding a solution for church. 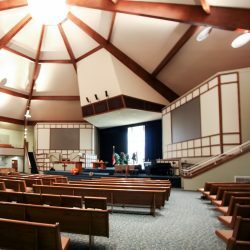 The self-described “quaint, kickback, woodsy, Pacific” congregation contacted Acoustical Solutions. San Geronimo Community Presbyterian Church’s meeting place is in an old converted and expanded train station. They had a room that simply wasn’t designed for acoustics. Hardwood floors, a rectangular shape, untreated walls, and a lot of glass all contributed to sound in the room bouncing from wall to wall. This created a flutter echo. 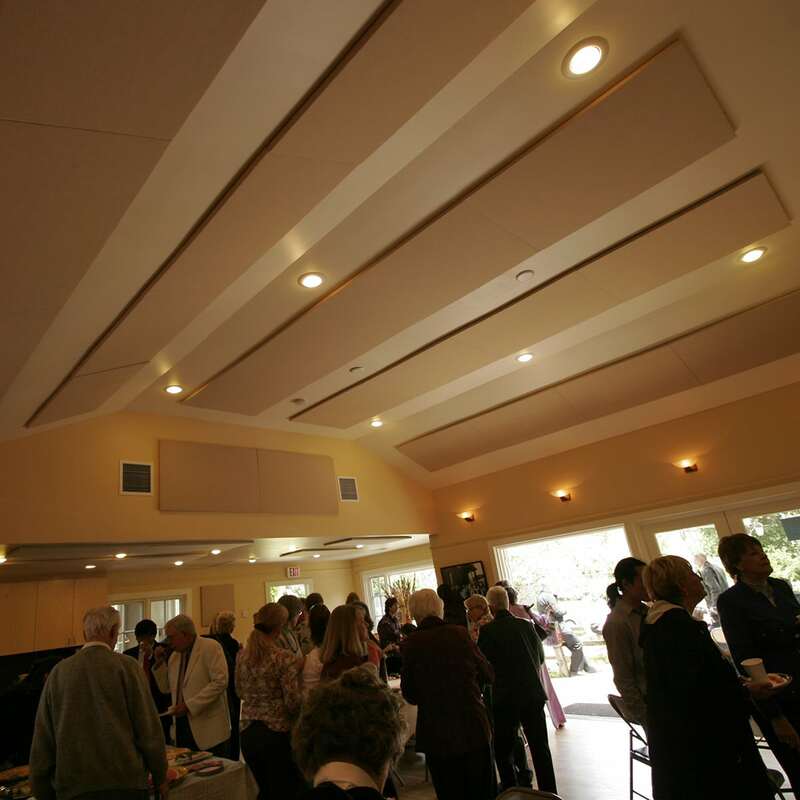 The folks at San Geronimo Community Presbyterian Church took the advice of the Acoustical Solutions Technical Sales Representative. 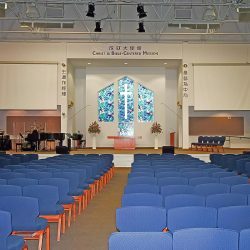 They decided to combat their acoustical problems with fabric wrapped acoustic panels. 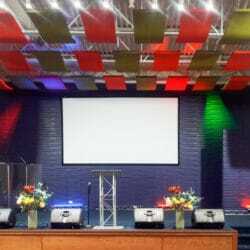 The church mounted AlphaSorb® Acoustic Panels on the walls in the multi-purpose room. By mounting acoustic panels on the ceiling, also known as ceiling clouds, they took advantage of other available space. 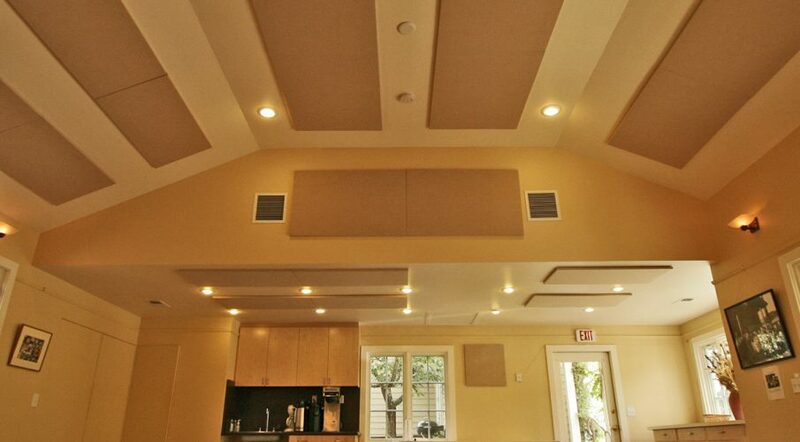 AlphaSorb® Acoustic Panels are used for sound reduction and reverberation control. 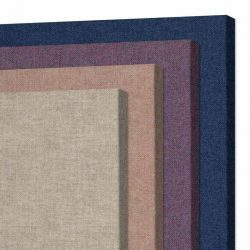 AlphaSorb® Acoustic Panels are Class 1 Fire Rated and offer various edge details and installation options. “Now, the room is ‘cozy,'” he said. 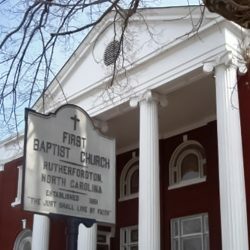 “I’ve noticed that even on a warm Sunday, approximately half the people wish to remain in the room rather than to go outside on our nice covered patio during the post service coffee & snack hour.” Bible study has improved as well. “In a meeting or bible study, one can clearly hear even a very weak voiced person speaking across a nine-chair round table,” Richard says.